The annual Americas Conference on Information Systems (AMCIS) is one of the leading conferences presenting research by and for academics in the Information Systems and Technology field. The conference is organized by the Association for Information Systems (AIS), the premier professional association for individuals and organizations who lead the research, teaching, practice, and study of information systems worldwide. At this year’s AMCIS, Esri will participate for the first time as keynote speaker and sponsor, representing its GIS software. As the world’s leading provider of GIS technology worldwide, Esri is happy to join AIS in educating and inspiring the next generation of IS and IT professionals. Christopher Cappelli, Esri Director of Global Business Development – Keynote Speaker at AMCIS. GIS location data is used in everything from public utilities to commercial applications. It can help companies locate the best spots to open new stores based on demographics, or empower governments to make better informed decisions when allocating resources like emergency responders. Location data makes it possible for organizations to increase revenue, operate more efficiently, and in many cases, save lives. As a company, we have always focused on the layer of GIS which is geography. Many business owners talk about the importance of location as it relates to their operations. The human brain is already executing relevant geographic data for the purpose of decision making; Esri does this at scale. In the Age of the Location Platform, GIS is becoming a system of engagement that enables every employee and contractor to discover, use, make, and share maps from any device, anywhere, anytime. Esri’s keynote talk will consider implications of this evolution for how organizations can make better informed decisions. The 22nd annual Americas Conference on Information Systems will take place at the Sheraton San Diego Hotel and Marina from August 11-14, 2016. I will represent Esri at the keynote session and lunch on Saturday, August 13, 2016, 12:00pm-1:15pm. For more information about AMCIS, visit amcis2016.aisnet.org. 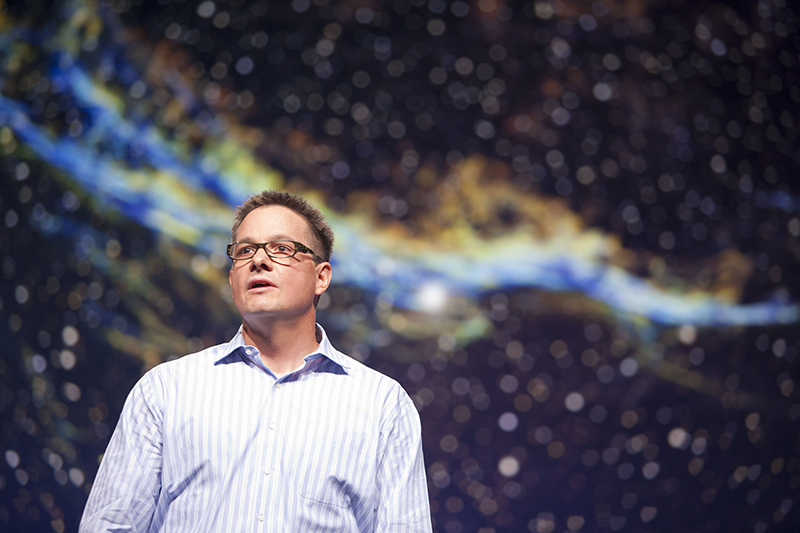 For details on Esri’s keynote session and lunch, “The Age of the Location Platform,” click here.